Our Nation’s infrastructure is more than just roads and bridges, it is also the networks and systems that deliver energy and water to homes and businesses across the country. These networks are aging and burdened by modern demands. The right investments in our energy and water infrastructure and in retrofitting buildings themselves can drive down costs and create jobs while producing a healthier living environment. Energy and water efficiency in affordable housing not only saves money and sustains federal investments, but also creates jobs. According to a recent report, the energy efficiency sector employed 1.9 million people in 2015. The industry is prime for future growth. Committing to update our outdated housing infrastructure can create high paying jobs while addressing a backlog of physical repairs needed to improve safety and quality of life in publicly assisted housing. Lack of energy and water efficiency is costly; nowhere is this more evident than in publicly and privately owned housing that is affordable to low income residents. Low-income families spend an average of 7.2 percent of their income on energy bills as compared to two percent by high-income households. The average public housing authority spends 22 percent of its operating budgets on energy and water. In privately-owned properties financed with equity from Low Income Housing Tax Credits (LIHTC), utilities made up 18 percent of operating expenses. Lower energy consumption decreases resident utility expenses, freeing up more money for other resident needs. In assisted housing, less energy consumption reduces government subsidy costs and helps preserve these long-term investments by reducing operating costs and improving the long-term financial stability of the property. Reduced energy consumption also lowers demands on the larger, aging energy infrastructure. Great strides have been made in reducing utility expenses. Many states require utilities to invest in programs that support energy efficiency, but there is work to be done to ensure that significant savings and benefits are realized in affordable multifamily housing. Investments in infrastructure that enhance efficiency make good financial sense. They offer the opportunity to leverage public and private funds for short and long-term savings, job creation and greater opportunity for residents. The private sector recognizes the value of investments in efficient energy and water infrastructure. Stewards of Affordable Housing for the Future (SAHF) and its members have committed to efficiency, launching the Big Reach initiative in 2013. The Big Reach is a collaborative effort of SAHF, along with its partners and supporters, to achieve a portfolio-wide 20 percent reduction in energy and water consumption by the year 2020. The National Housing Trust (NHT) is one of the organizers of Energy Efficiency for All (EEFA), a coalition of state, local and national organizations working to make multifamily homes healthy and affordable through energy efficiency. EEFA works with a range of partners in 12 states to promote effective utility energy efficiency programs that can optimize energy use for all affordable building owners, and ensure healthy and inexpensive housing for residents. To date, EEFA has secured more than $230 million in energy efficiency investments in affordable multifamily housing from private utilities. Other multifamily housing developers have committed resources to improving the energy efficiency of their properties. Utility incentives and other existing programs support small-scale retrofits, but new financing sources and approaches are needed to achieve the systemic measures that will generate deep, lasting savings and strengthen our housing and energy infrastructure. Policies should identify federal sources to leverage utility company and other private financing sources, and should further incentivize private investment in efficient affordable housing infrastructure by ensuring that owners can benefit from utility cost savings and by expanding pay for success programs. Investment in the energy and water systems in housing is also an investment in our country’s greatest asset, the people who occupy affordable homes. Updating energy and water systems creates healthier homes for residents and create a better platform for their success. For example, healthy indoor air systems can significantly mitigate the consequences of asthma in a child or chronic respiratory disease in seniors. Healthy residents are better poised for education and work, which makes our economy stronger. Any investments in our nation’s energy and water infrastructure should be holistic and include investments to make all homes energy efficient and healthy. This post is the third in a series from members of the Campaign for Housing and Community Development Funding examining the critical role of housing in our nation’s infrastructure. 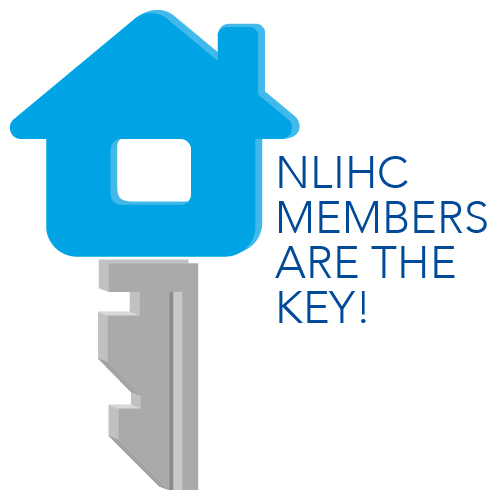 Look for previous blog posts from the National Housing Conference and Housing Assistance Council and the next blog post from the National Center for Healthy Housing on February 22.